TRENTON, N.J. (AP) — U.S. regulators on Tuesday approved a modernized version of a decades-old antibiotic used to treat a number of infections. 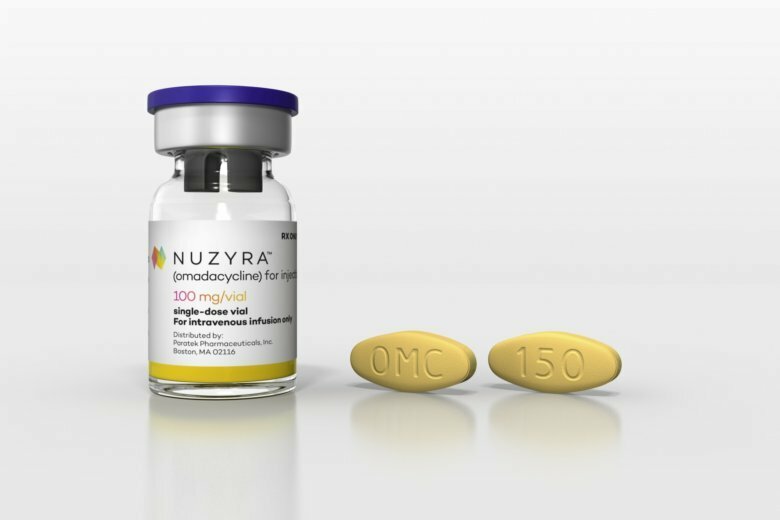 Paratek Pharmaceuticals’ Nuzyra was designed to overcome the problem of resistance to tetracycline, an antibiotic widely used until recent years. Paratek plans to launch the antibiotic early next year, initially for use in hospitals. It hasn’t disclosed the price. Paratek’s drug, also known as omadacycline, is the first in a new class of antibiotics. It’s an updated version of tetracycline, a 65-year-old antibiotic that was a workhorse against skin, respiratory and other infections until increasing resistance limited its use. Paratek created its drug by tweaking tetracycline to block two common ways bacteria use to resist it. The FDA approved both an IV version and a daily pill that patients can switch to when they leave the hospital, the company said. It will eventually market the drug for patients treated at doctors’ offices and clinics.